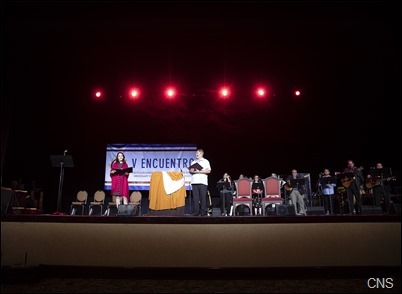 This week I was very pleased to take part in the V National Encuentro, which was held in Grapevine, Texas, in the Dallas-Fort Worth area. 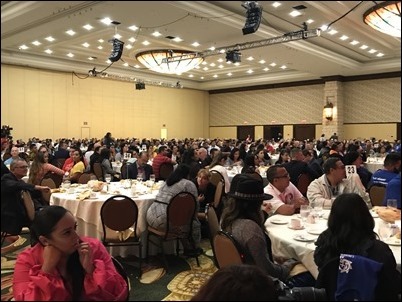 This, as I have mentioned, was a national gathering of Hispanic leaders from around the United States to discuss their vision and hopes for the future of Hispanic ministry in the United States. 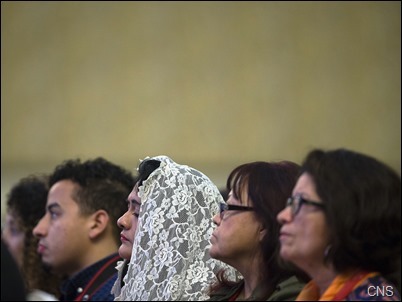 There was a group of about 35 representatives from Boston who attended the Encuentro. 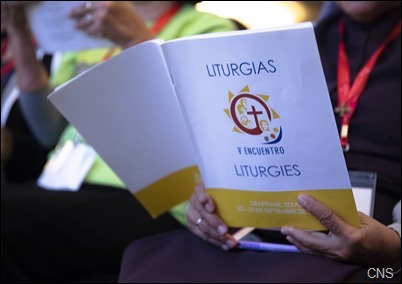 These are people from the various parishes who had participated in the parish, diocesan, and regional Encuentros leading up to this national gathering. 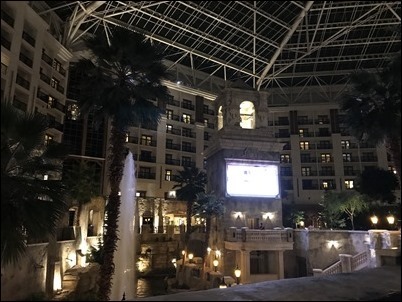 It was held at the Gaylord Texan Resort Hotel & Convention Center, which was a wonderful venue because it had a massive atrium. 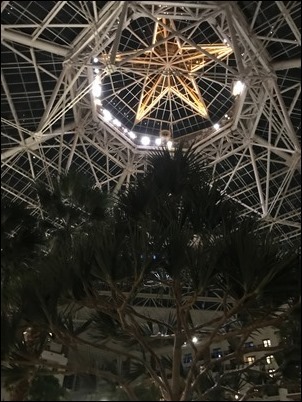 So, while you had the sense of being outside, you were actually covered under an immense roof. It gave you the sense of being in a capsule on the moon or something like that! 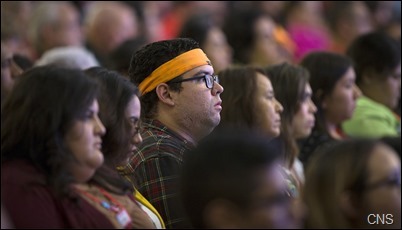 There were almost 2,000 in attendance, and one-third of them were young adults. 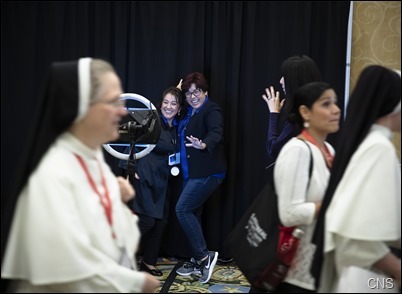 One of the great points of emphasis in the five-year preparation for this gathering was outreach to young Hispanic Catholics, and the participants certainly reflected that. 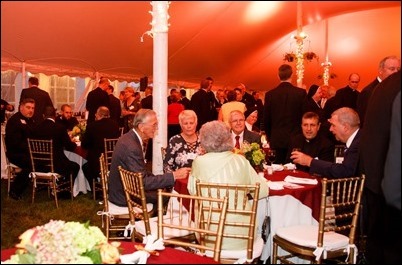 In fact, one of the highlights for me was the dinner Friday night for bishops with the young adults. 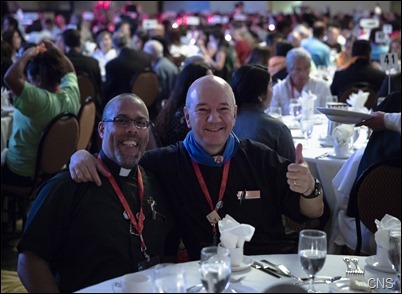 Bishops were assigned to different tables with young adults from various dioceses. It was an opportunity to have a dialogue on many different aspects of their participation in the Church such as how to be better evangelizers and how to reach out to their peers. 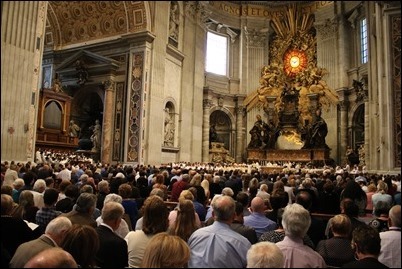 It was very edifying to see the faith of the young people and their love for the Church. 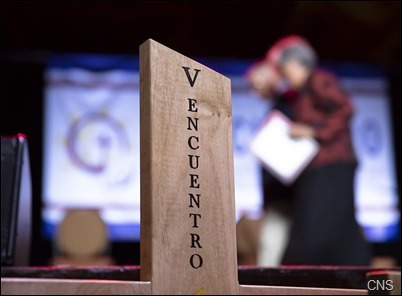 The V Encuentro was like an oasis in the summer that was so filled with pain, sadness and shame. 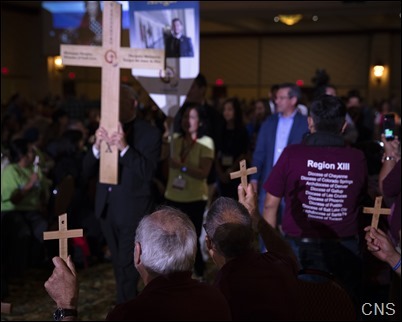 The Encuentro began Thursday evening and ran through midday Sunday. 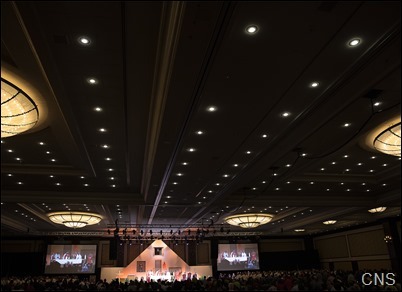 Over the course of those four days, there were numerous keynote talks, breakout sessions, and liturgies. 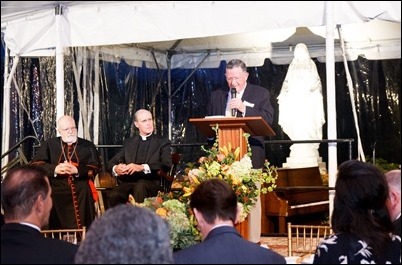 For example, we had an address by the Apostolic Nuncio to the United States, Archbishop Christophe Pierre. 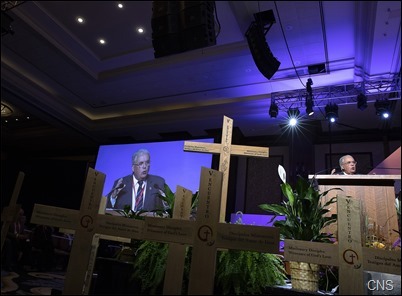 We also heard from Guzmán Carriquiry, vice president of the Pontifical Commission for Latin America. 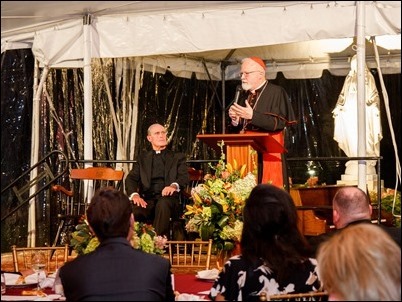 He is one of the highest-ranking laymen in the Curia, and he spoke at the luncheon for the bishops. 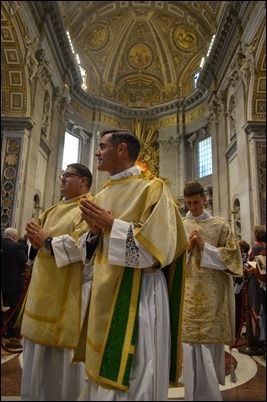 My role was to serve as the principal celebrant of the Mass on Saturday. I also gave a talk on evangelization during one of the breakout workshops on Saturday evening. 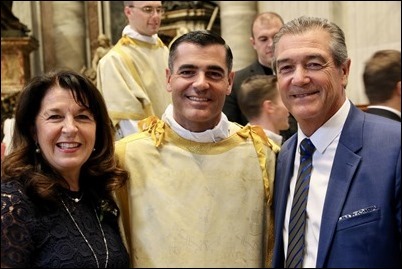 I have been to all four previous Encuentros and, in fact, the first couple were held in Washington while I was a young priest. Each one of these Encuentros has really advanced Hispanic ministry in the United States considerably. 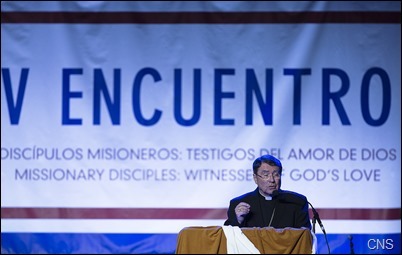 So, I am hoping that this V Encuentro will help to galvanize greater participation, particularly of young Hispanics, in the process of evangelization. It was a time of great joy and enthusiasm. 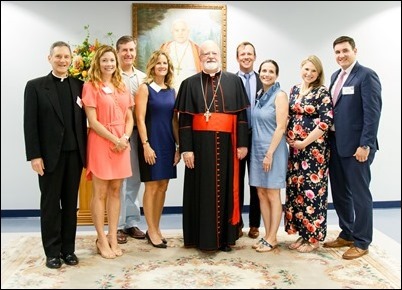 From Texas, I went to Washington, D.C. to take part in one of our regularly scheduled board meetings of the Catholic University of America. Our meeting was very much focused on the events of the summer and the situation of the Church and the university. 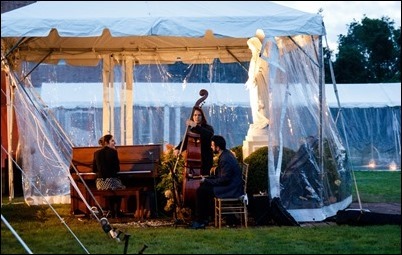 By Wednesday, I was back in Boston to attend the Pope St. John XXIII National Seminary’s annual Lawn Party. 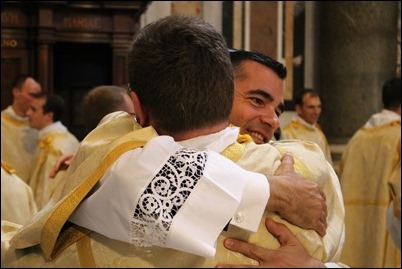 Having just had our annual Celebration of the Priesthood Dinner, it was very edifying to once again see how our people truly love our priests and seminarians, and want to be supportive of them. 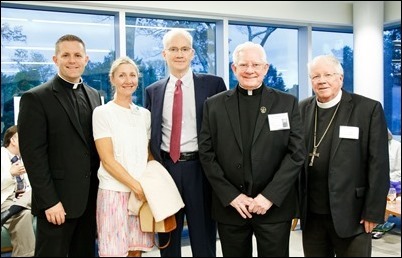 It was a wonderful turnout and, in addition to the many supporters of the seminary, we were very happy to be joined by a number of the former rectors including our Vicar General, Bishop Peter Uglietto. 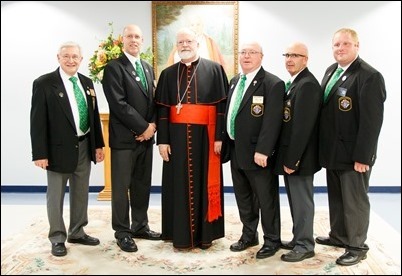 Also with us were Manchester Bishop Anthony Libasci, Bishop Arthur Kennedy and Bishop Robert Reed, as well as a number of priest alumni. 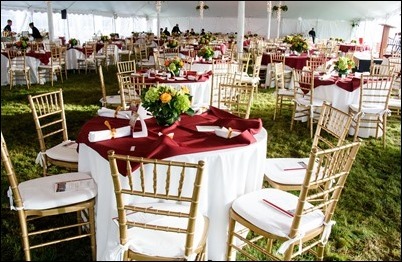 It was a wonderful evening and we are very grateful to the dinner chairs, Bill and Ro Janovitz, who did so much to make this a very successful evening. 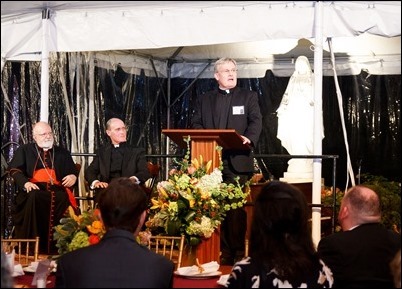 In addition to remarks by the dinner chairs and the rector, Father Brian Kieley, every year one or two of the seminarians share their vocation story with us. This year, we heard from Mason Wiggins, who is studying for the Diocese of St. Augustine, Florida. He told us that this is his second time being a seminarian. The first time was in college, when he studied in four different seminaries as his bishop asked him to pursue various degrees and programs. Then, he began to doubt his vocation and asked for some time off. This “hiatus” lasted 34 years! 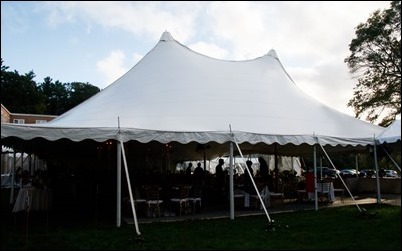 During the intervening time, he had a very successful career in law and government, including various staff positions in the U.S. Senate and the House of Representatives. 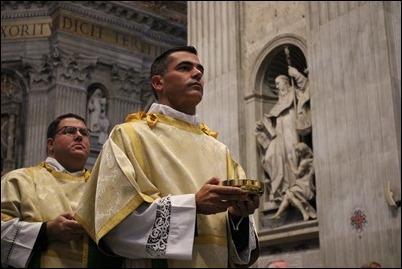 For most of this time, he said, he was a “Catholic in name only,” but 10 years ago he once again became active in the faith, and five years ago he began to consider the priesthood once again. He spoke about how happy he is to be at Pope John XXIII Seminary and what a good experience it has been for him. 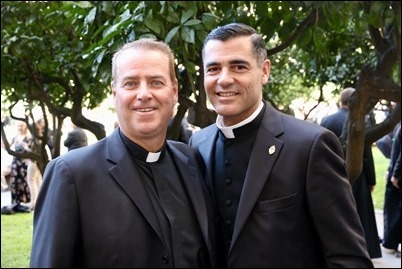 And, as we are speaking of our seminarians, I want to congratulate Chris Boyle, one of our seminarians who is studying at the Pontifical North American College in Rome, who was ordained a transitional deacon this week. 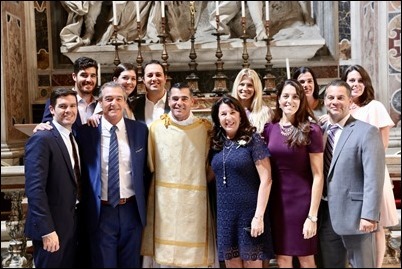 I was very pleased to hear that a number of his family members and friends were able to travel to Rome to be present for this happy occasion. 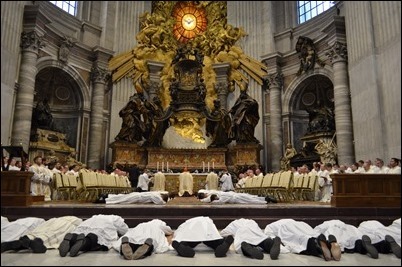 Finally, I want to conclude this week reminding everybody that tomorrow, Saturday, Sept. 29, I will have the joy of ordaining eight men as new permanent deacons for the Archdiocese of Boston at Holy Name Church in West Roxbury at 10 a.m. 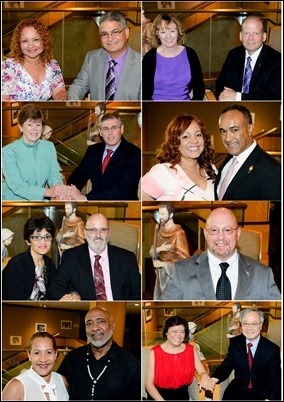 I invite all of you to join me in praying for them as they begin their ordained ministry in the Church.